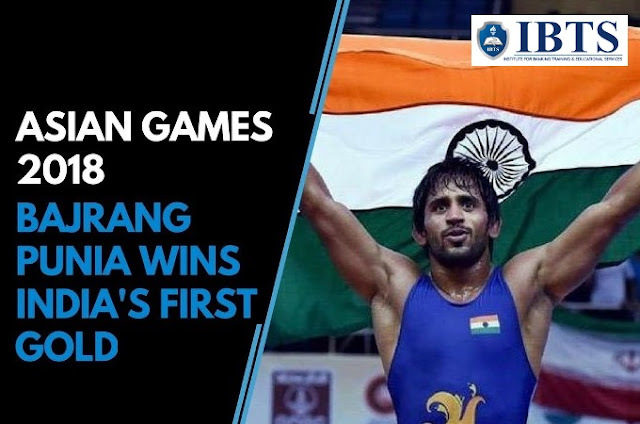 India’s dominating wrestle Bajrang Punia opened India’s gold medal account by defeating Japan’s Daichi Takatani in the final of Men’s freestyle 65 kg. category. In Shooting, Deepak shot 247.7 to finish second on the podium behind China’s Haoran Yang at the JSC Shooting Range. China’s Haoran Yang won the Gold medal with a Games record 249.1. Earlier, India opened its medal account with a bronze by Apurvi Chandela & Ravi Kumar in rifle mixed team shooting event. Bajrang Punia was born in Khudan village of Jhajjar district in Haryana. He works as Traveling Ticket Examiner (TTE) with Indian Railway. Australian cricketer Mitchell Johnson has announced the retirement from all forms of cricket. Johnson played 73 Tests in the Baggy Green, claiming 313 wickets (the fourth most for an Australian). He also played 153 ODIs before retiring from international cricket in 2015. Johnson was awarded the International Cricket Council's Sir Garfield Sobers Trophy (ICC Cricketer of the Year) in 2009. Former United Nations Secretary-General and Nobel Peace Prize winner ‘Kofi Atta Annan’ (80-years) passes away after a short unspecified illness. Ghanaian diplomat Mr Annan served as the 7th Secretary-General of the United Nations (January 1997 to December 2006). Mr Annan was awarded the Nobel Peace Prize jointly with the UN in 2001 "for their work for a better organized and more peaceful world". He was the founder and chairman of the ‘Kofi Annan Foundation’ as well as chairman of The Elders, an international organization founded by Nelson Mandela. Actor Sujata Kumar passed away in Mumbai’s Lilavati hospital, suffering from fourth stage cancer. Sujata played the role of Sridevi’s sister in 2012 Bollywood movie English Vinglish. Sujata Kumar also appeared in movies like Raanjhanaa and Guzaarish and TV shows like Anil Kapoor’s 24 as Meghna Singhania. The World Humanitarian Day (WHD) is observed across the world every year on 19th August to recognize the work of humanitarian personnel and those who have lost their lives working for humanitarian causes. The 2018 World Humanitarian Day campaign: #NotATarget. The 'World Photography Day' observed to inspire photographers across the planet to share a single photo with the world. Indigenously-developed guided bombs- Smart Anti-Airfield Weapon and anti-tank guided missile 'Helina' has been successfully tested at separate firing ranges in Rajasthan. The weapon system tested for its full range was released smoothly from the launch platform. The indigenously designed and developed guided bombs Smart Anti Airfield Weapon (SAAW) has been also successfully flight tested from IAF aircraft at Chandan range in Jaisalmer. The External Affairs Minister Sushma Swaraj has inaugurated 'Panini Language Laboratory' at Mahatma Gandhi Institute (MGI) at Port Louis in Mauritius. She called on Pravind Kumar Jagnauth (Prime Minister of Mauritius) and discussed further deepening of the special ties between the two nations. The Lab has been gifted by the Government of India to help MGI in the teaching of all Indian languages in Mauritius. Mauritian Prime minister Pravind Jugnauth has announced the cyber tower which Atal Ji had contributed to set up in Mauritius will henceforth be named as Atal Bihari Vajpayee tower. Around 68% of Mauritius’s population of nearly 1.3 million is of Indian descent. The Chief Financial Officer (CFO) of Infosys (India’s second-largest software services company) ‘MD Ranganath’ has abruptly stepped down from his position. Deputy CFO at Infosys Jayesh Sanghrajka is likely to replace Mr. Ranganath as the company’s next finance chief. The Railways Ministry has made “digital screens” operational at 22 stations as an innovative low-cost solution to spread awareness among the public about the opulent heritage of Indian Railways. the project aims at showcasing the legacy of Indian Railways through one to two-minute-long movie clips. Telangana Govt. has launched its own Disaster Response Force (DRF) vehicles in Hyderabad to swiftly deal with emergency situations. DRF vehicles provided to this force will be parked at 24 locations with Greater Hyderabad Municipal Corporation (GHMC). It will help DRF staff to reach the emergency spots in no time. Disaster Response Force (DRF) is a state level dedicated disaster force trained in tackling of urban flooding, tree falls, structural collapses and any other site of normal emergencies. The United States government has awarded the Legion of Merit (Degree of Commander) to retired General Dalbir Singh Suhag of the for exceptionally meritorious service as chief of the Army staff, Indian Army. The award was presented to General Suhag at Pentagon, Washington DC.